AMPEDTM Hydrate is a key product within our Energy and Performance Systems. However, its benefits stretch across both Weight Management and Energy and Performance Systems. It can also be a useful Cleanse Day* tool, particularly if you’re exercising. As Cleanse Days are a form of intermittent fasting, the goal is to consume as few calories as possible on these days. Isagenix provides you with a variety of different support tools for targeted nutrition throughout the day. AMPED Hydrate is one of the products that can support you on your Cleanse Days, and each stick provides just 70 calories. You can divide this into two half servings, to include mid-morning and afternoon. Alternatively, you can consume your AMPED Hydrate either during or after a light workout on your Cleanse Day. How can AMPED Hydrate help? As on a Cleanse Day normal meals aren’t consumed, for some people this can cause them to feel slightly light headed. AMPED Hydrate can help you avoid this feeling by keeping you well hydrated while providing B vitamins, carbohydrate and electrolytes such as sodium. 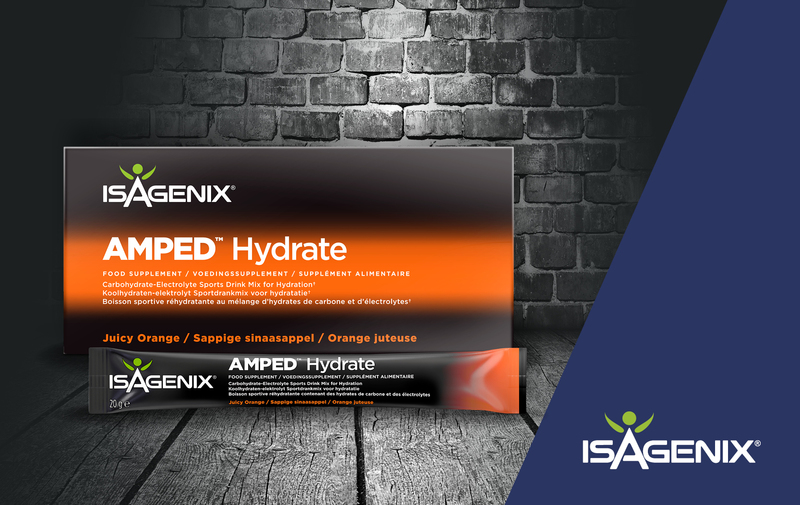 Along with properly snacking throughout your Cleanse Day, AMPED Hydrate can be consumed throughout the day to ensure you’re getting enough water and nutrients, including sodium to help you to avoid becoming light headed or fatigued. If preferable, you can also enjoy AMPED Hydrate with your Nourish for LifeTM. You can customise the flavour of your Nourish for Life drink with a half or full serving of AMPED Hydrate.